Bauman Endodontics: How many canals are normal in a pre-moalr? The most common questions I continue to be asked by patients are: Why do I need to have my root canal redone? Why didn't they find all the canals the first time? Why do you think you can find it if my dentist couldn't? 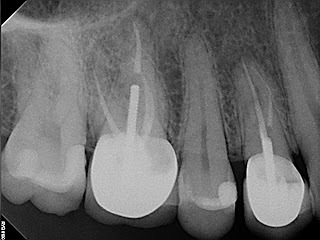 I continue to answer that additional canals are probably the most common reason I retreat teeth. The reason is that "root canals" or root canal therapy is difficult and all teeth are not created the same. Each tooth and person is different. It is what makes my job interesting and enjoyable. 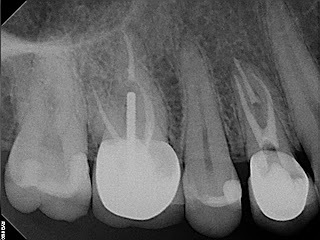 Here is another case of a missed canal in a pre-molar. You can again see how a microscope helps us see these canals when they branch down the root. 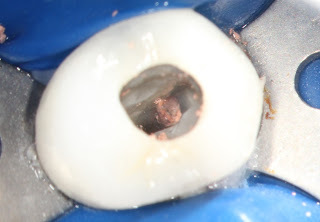 Here is the same tooth after the additional canal has been treated. 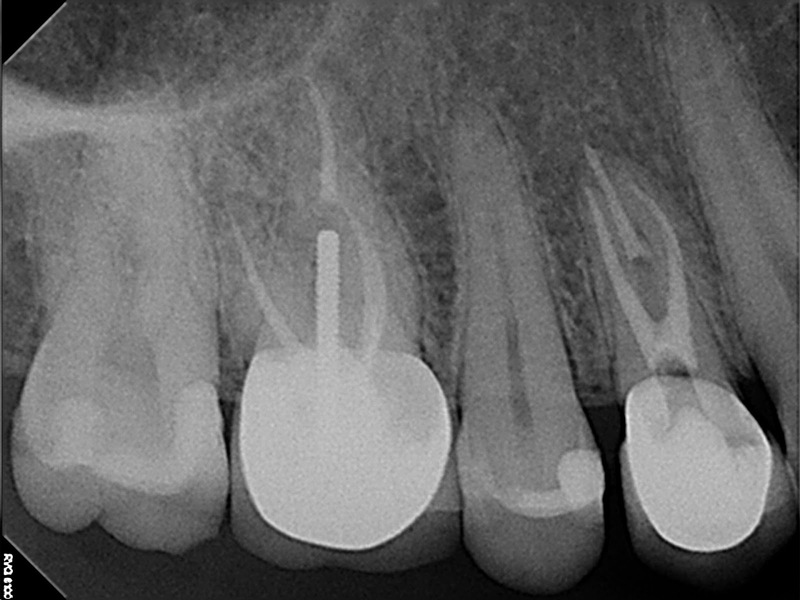 Although smaller it has a similar appearance to the root canal on tooth #3. Here is the appearance of the canal with the previous filling material still in place. 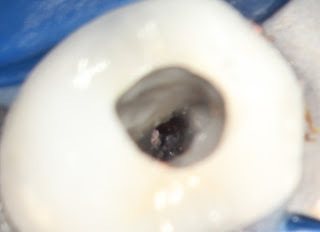 Once the filling material is removed then we can see that this canal is slightly off center in the tooth. Here are the two buccal canals after cleaning them out. Even after cleaning them it would be difficult to see them without the use of a microscope. I have previously posted a case of an upper molar with extra canals and thought I would add a pre-molar. 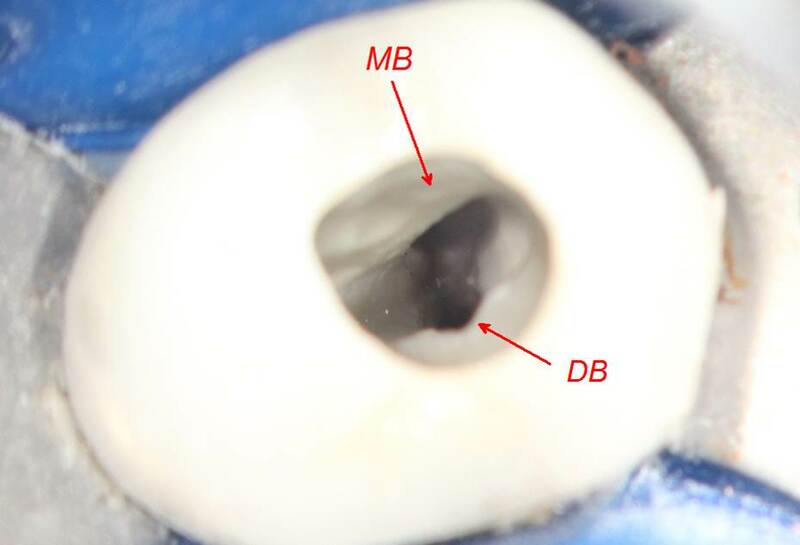 We can see this in lower molars as well and I will add a lower molar with an extra mesial canal in my next post.